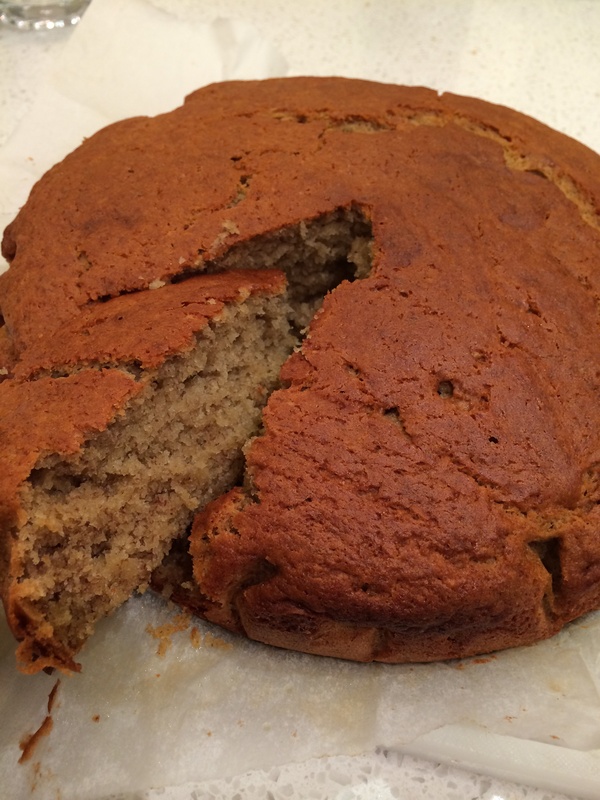 Mmmm yum banana cake. This recipe from the recipe community was so close to our family recipe except for the use of self raising flour instead of flour and baking powder, we had to give it a go. 85 positive comments, and it turns out lovely and moist just as everyone says. I might substitute flour and baking powder and leave bananas in when mixing, as suggested by a few members, next time but very happy with this cake as is. Sometimes our cake would fall in the middle but this one stays nice and high. Maybe because it’s cooked at 160C instead of 180C for an hour.